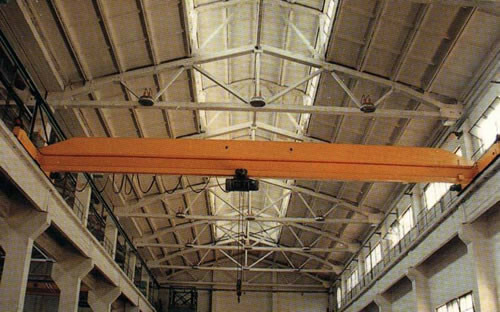 LD Electric Single-Girder Overhead Crane is designed and manufactured according to the JB/T1306-94 standard, it can corollary use with CD1 or MD1 type electric hoist, and it is used as a rail running small multi-purpose crane for carrying heavy objects in general small and middle factories. Control way:1. ground control,2. cabcontrol 3.remote control. We can design and manufacture special products under the requirements of users.